Thursday 28th March 2019 marks one hundred and sixty years since the opening night of Wilton's! John and Ellen Wilton first opened the doors to the brand new Wilton's Music Hall on 28th March 1859. The opening night offered a variety of Music Hall acts. An advert for the 'Grand Opening Night' in the East London Observer promised a 'powerful company of vocalists' and a 'splendid array of comic talent'. This included Sam Collins, a celebrated performer nicknamed 'The Singing Irishman', and Charles Sloman, a well-known performer and improviser, as well as the Musical Director for the opening night. The East London Observer reported on the opening a few days later, describing Wilton's as 'a very important addition to the places of amusement at the eastern end of the metropolis.' The writer praised the performances and the 'good taste' of John Wilton; they were particularly taken with the sunburner used to light the hall, which comprised of 300 burners, 100 gas jets, and over 27,000 pieces of cut glass to reflect the light around the room. 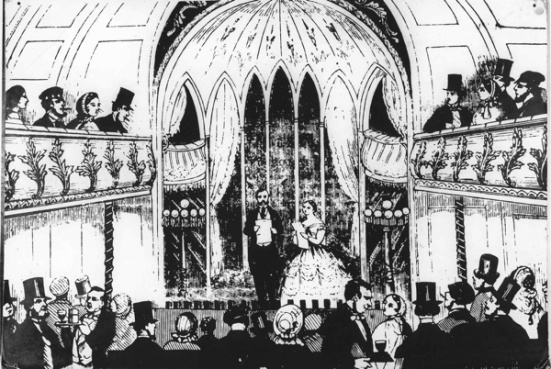 The above illustration is from Peeping Tom, a journal of the time, showing John and Ellen Wilton onstage addressing the audience at the opening night. It is the only image we have of Ellen Wilton. Wilton's has gone through many changes over one hundred and sixty years, serving as a Methodist Mission Hall and a rag warehouse. Our incredible building has undertaken a fascinating journey to become the thriving theatre it is in 2019. You can find out more about the heritage of Wilton's by visiting our Google Archive, or by making an appointment to visit our physical archive, part of the V&A's National Collection of Performing Arts. Click here to find out more. Illustration from Peeping Tom: A Journal of Town Life, no 5, 1859 © The British Library Board (1859 LON MISC3 NPL). 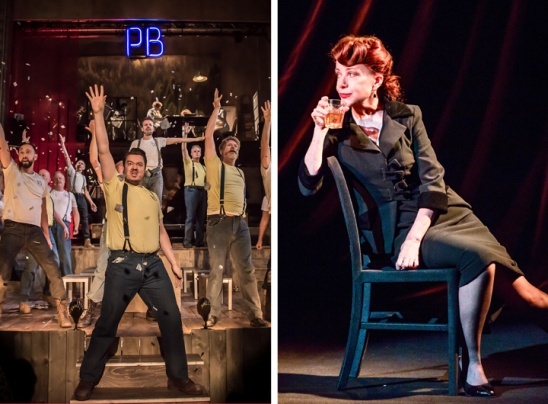 We're delighted to announce that two productions that premiered at Wilton's in 2018, Paul Bunyan and Songs for Nobodies, have been nominated in the Olivier Awards 2019. The Olivier Awards are Britain's most prestigious stage honours, celebrating the world-class status of London theatre. This year's ceremony will take place at the Royal Albert Hall on 7th April 2019. 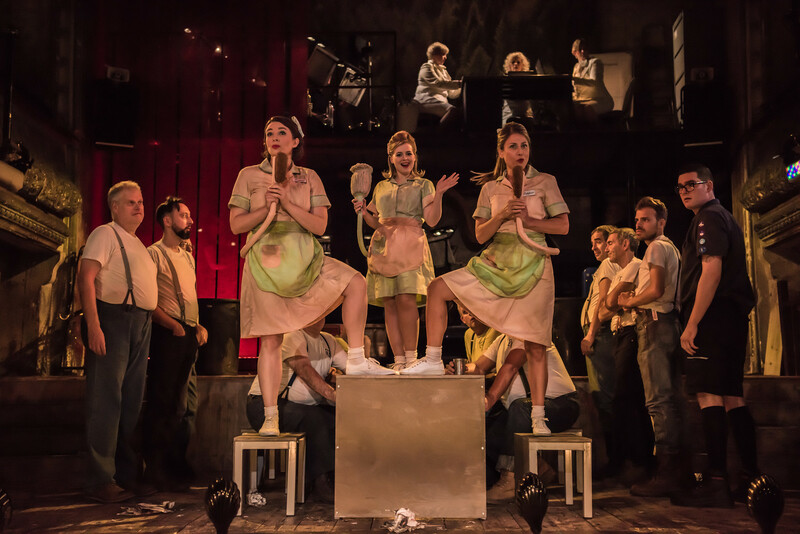 The English National Opera Chorus has been nominated for 'Outstanding Achievement in Opera' for Benjamin Britten and W. H. Auden’s Paul Bunyan, which opened at Wilton's in September 2018; The Stage praised the Chorus as "sounding magnificent and demonstrating infallible stagecraft." Paul Bunyan will be revived at the Alexandra Palace Theatre in May 2019. Songs for Nobodies has been nominated in the 'Best Entertainment and Family' category. 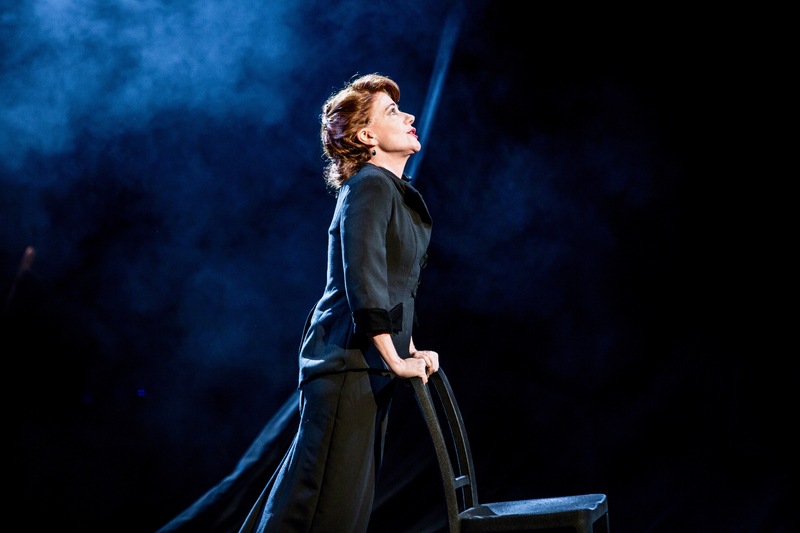 This stunning music-theatre piece had its UK premiere at Wilton's in March 2018, before transferring to the Ambassadors Theatre in January 2019, where it received rave reviews; Time Out's five-star review commended star Bernadette Robinson's "extraordinary performance." We would like to congratulate the cast and creative of Paul Bunyan and Songs for Nobodies on these nominations, which recognise their hard work bringing two exceptional shows to life. To find out more about the Olivier Awards 2019, click here. We are delighted to unveil our summer season for 2019. The Viviana Durante Company brings world-class ballet to Wilton's with Seven Deadly Sins, their thrilling re-staging of Kenneth MacMillan's version of Kurt Weill and Bertolt Brecht's 'ballet with songs'. Starring provocative performer and Weimar specialist Meow Meow and Royal Ballet principal Laura Morera. 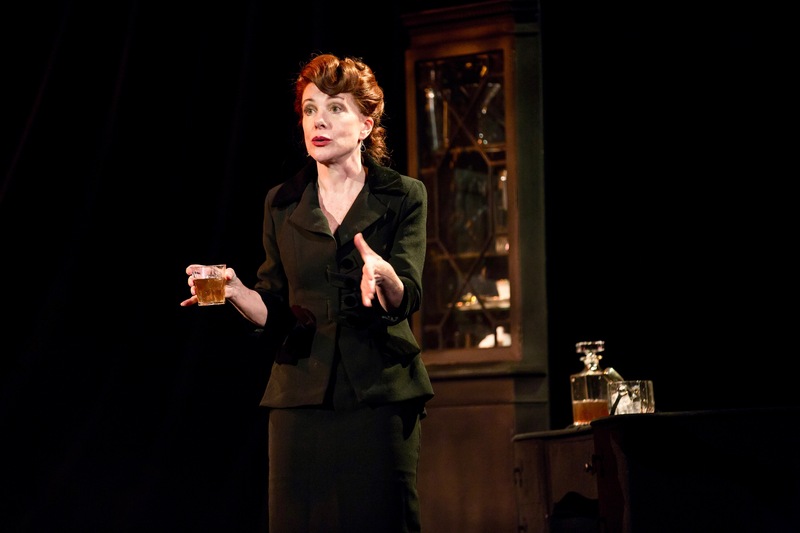 Award-winning ensemble the Faction present their innovative and dynamic take on Patricia Highsmith's The Talented Mr Ripley, bringing their unique theatrical and physical language to a gripping tale of ambition, escapism, and murder. 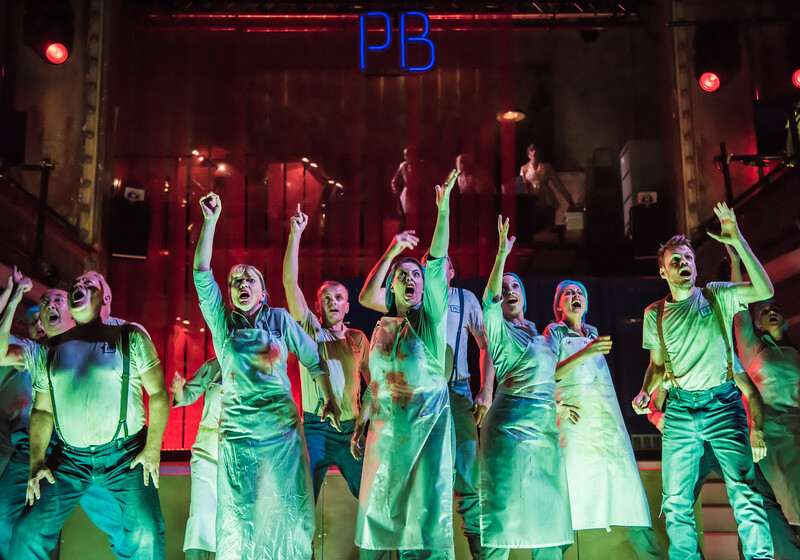 Joy Wilkinson's The Sweet Science of Bruising comes to Wilton's after a sell-out run at the Southwark Playhouse. Don't miss this gripping exploration of the dark underground world of female boxing in Victorian London, a little-known but important part of the City's history. 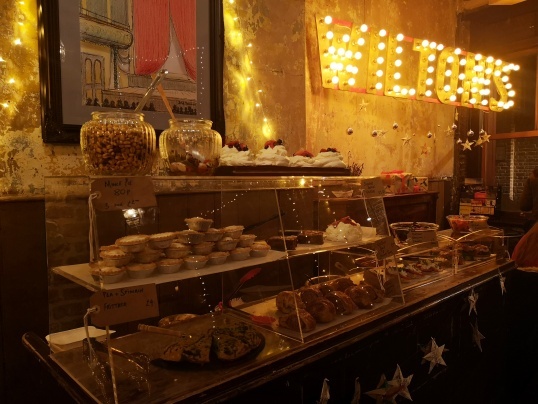 And, of course, in the true spirit of Wilton's, there's a variety of other highlights, including cabaret, improv, family shows, music and more. If you would like to enjoy priority booking for future seasons, you can become a Friend of Wilton's for just £35 a year. You can view our full programme below. Book online by clicking the links, or ring our Box Office on 020 7702 2789. Lines are open 11am - 6pm. Wilton's is a great place to spend Christmas, whether you're seeing the return of our sell-out Christmas production, The Box of Delights by Piers Torday based on the novel by John Masefield, or not, we're open to everyone. So, come and join us for something to eat and drink throughout the festive season. We are even open on Boxing Day. Our Box Office is open for ticket collection and ticket sales (for the performances on that day only) on Wednesday 26th and Saturday 29th December from 1pm. 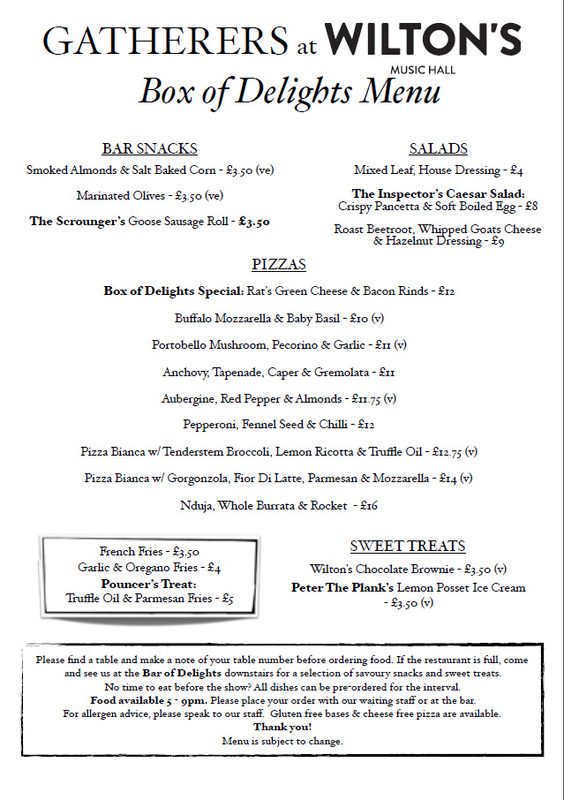 Our caterers, Gatherers, serve a special Box of Delights-themed festive menu from 5pm to 9pm on show days only. 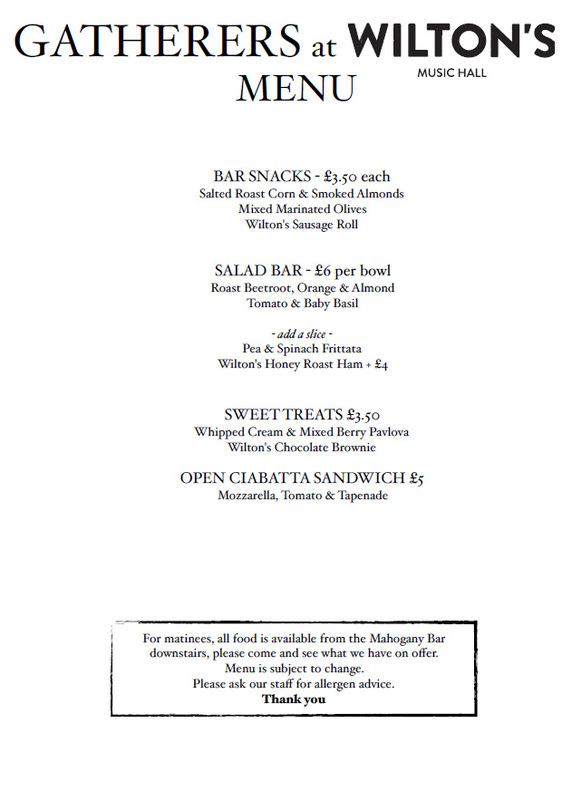 A separate seasonal lunch menu is available on days with matinee performances. Merry Christmas from all of us here at Wilton's Music Hall. We'll see you in the New Year for our spring season. Wilton's wins at the Historic England Angel Awards 2018! On Tuesday 27th November at the Gillian Lynne Theatre in London Wilton's received the "People's Choice and Followers' Favourite" Award at the Historic England Angel Awards 2018. We would like to thank all of those who voted for Wilton's following our nomination. The Historic England Angel Awards celebrate the efforts of people taking action to champion their local heritage. The awards were founded by Andrew Lloyd Webber and are co-funded by the Andrew Lloyd Webber Foundation. Wilton's won the public vote in a strong cohort of 15 organisations from across England. To find out more about the Awards and the other winners click here. To watch the video about the award and what it means to Wilton's, click here. Kate Mullan (Box Office & Reception Manager), Alice Cox (Heritage & Artistic Engagement Officer) and Harry Hickmore (Head of Development & Communications) were present to receive the award on behalf of all of the staff and volunteers at Wilton's. Closing date: 21st November 2018 at 12.00 (midday). Once upon a time, there were two great sorcerers, Ramon Lulli and Arnold of Todi. To decide who was the most powerful, they made a wager. Who could invent the most incredible magical power, never seen before? After a year, Ramon returned with an elixir, which would grant the drinker eternal life. But then Arnold revealed his invention. A box of his own invention. A mysterious and wondrous Box of Delights, with dark powers. Before Ramon could respond, Arnold disappeared, taking his Box with him. Now centuries later, a boy on a train travelling home for the holidays, is about to be drawn into an ancient magical struggle, that will see him fighting not just for his life, but to save Christmas itself. Based on the much loved and critically acclaimed festive children’s classic by John Masefield, a direct forerunner to Narnia and Harry Potter, known to many through the legendary BBC adaptation, you can now experience the enthralling wonder of Masefield’s world for yourself, from flying cars to fiery phoenixes, live, only at Wilton’s Music Hall. The Creative Team includes Director Justin Audibert (Royal Shakespeare Company, National Theatre and Artistic Director of the Unicorn Theatre) and Olivier awarding-winning Designer Tom Piper, best-known recently as the designer of the poppy installation at the Tower of London – Blood Swept Lands and Seas of Red. 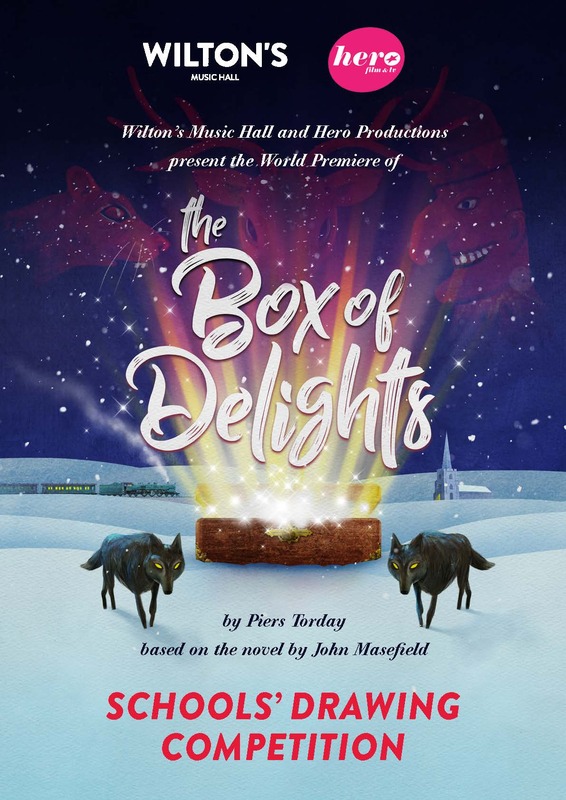 To celebrate Wilton’s production of The Box of Delights by Piers Torday based on the novel by John Masefield, we are running a drawing competition for Key Stage 2 (years 3-6). We would like you to draw or paint a picture of what you imagine might be contained within the magical Box of Delights. The winning entry will be printed on the front cover of The Box of Delights programme for the duration of the production’s run at Wilton’s, 30th November – 5th January. 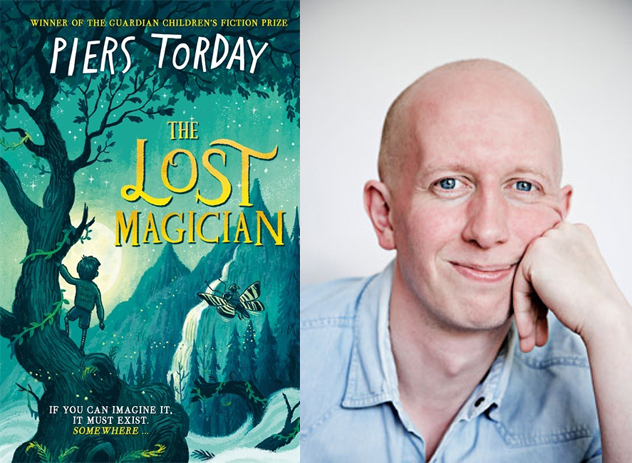 The winner will also receive four tickets to see a performance of their choice of The Box of Delights, subject to availability, and £100 worth of books for their school, courtesy of Hachette Children's Books, including all of Piers Torday's books and his spellbinding new novel The Lost Magician. Closing date Wednesday 21st November at 12.00 (midday). We will not be able to return submitted work. - Make a picture of what you think might be in the Box of Delights. - Use any materials, techniques or processes (for example drawing, painting, printmaking, textiles, photography, computer aided design, collage, montage) to make your piece, as long as the entry is two dimensional. - The entry must be no bigger than A4. - Entries will be judged on originality and creativity, boldness and impact. Judges will include: Piers Torday and members of The Box of Delights company. - Submit entries with entry form to: The Box of Delights Competition, Wilton’s Music Hall, 1 Graces Alley, London, E1 8JB. Or you can scan your entries and send to info@wiltons.org.uk. 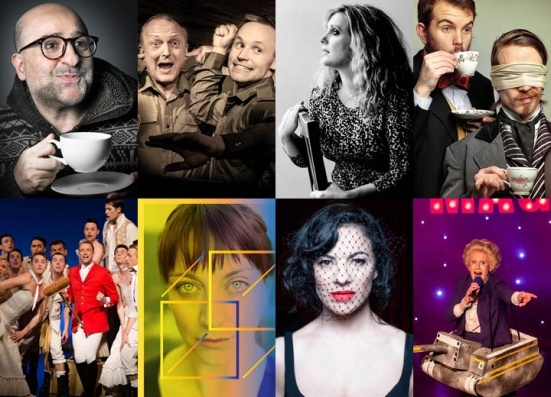 We are delighted to announce our Spring Season, which is now on sale! In 2019 we’ll be bringing you a season with some of the best artists from across the United Kingdom. See you in the Hall this spring. Wilton's Associate Rachel Bagshaw brings her poignant, critically-acclaimed The Shape of the Pain to us, based on her experience of living with chronic pain and developed with writer Chris Thorpe. As the UK exits the EU stage, Margaret Thatcher Queen of Soho and Margaret Thatcher Queen of Club Nights come to Wilton's, which see "Maggie" become an accidental cabaret superstar. Camille O'Sullivan presents the London premiere of Cave, produced by Wales Millennium Centre as part of Festival of Voice 2018, showcasing the music of Nick Cave and the Bad Seeds. The Olivier Award-winning godfathers of alternative cabaret The Tiger Lillies celebrate their 30th anniversary, returning to Wilton's with the premiere of a new concert One Penny Opera. Sasha Regan's award-winning all-male The Pirates of Penzance, which blew audiences away when it came to Wilton's in 2010. We are honoured to have been announced as a finalist for the 'Best Rescue of a Historic Building or Place' at the Historic England Angel Awards. The Historic Angel Awards celebrate the efforts of people taking action to champion their local heritage. The awards were founded by Andrew Lloyd Webber and are co-funded by the Andrew Lloyd Webber Foundation. 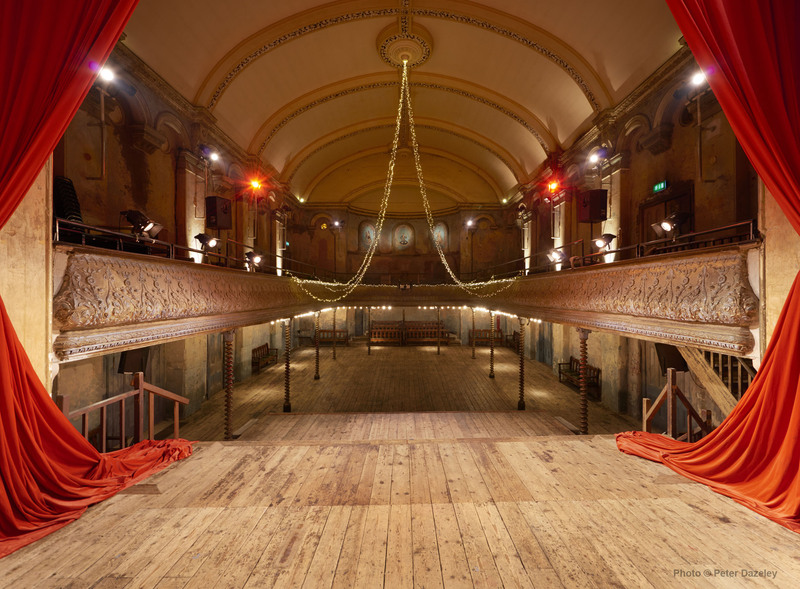 The nomination recognises the four-year £4m renovation of Wilton's, which culminated in Autumn 2015. The project involved many committed staff and volunteers and the capital works later won four RIBA awards in 2016. The winner of this Angel Award will be announced on 27th November 2018 and we would be delighted if you would help and vote for us here. If you have any questions about the award nomination you can contact us on info@wiltons.org.uk. The Watermill ensemble is all about ripping up the rule book when it comes to Shakespeare. You can have a really good time and watch Shakespeare in the same evening! When I took over as Artistic Director of the Watermill I wanted to find a new approach to how we do Shakespeare based on the amazing legacy of ensemble led productions here. I'd become bored by the approach of the bigger theatres and had always felt that at the Watermill you get that amazing alchemy of creating something in a little barn in the middle of nowhere with everyone living within a few yards of each other. You feel like you're doing something a bit naughty and it's a place where you can take a leap. Music is really key in our productions and it's all played live by our ridiculously talented casts. Romeo and Juliet was set around a bar owned by the Capulets, Midsummer Night Dream in an abandoned theatre and Twelfth Night is in a jazz club – all spaces that music can really bring to life. I've long been fascinated by modern lyrics sitting alongside Shakespeare's text and what that can reveal. 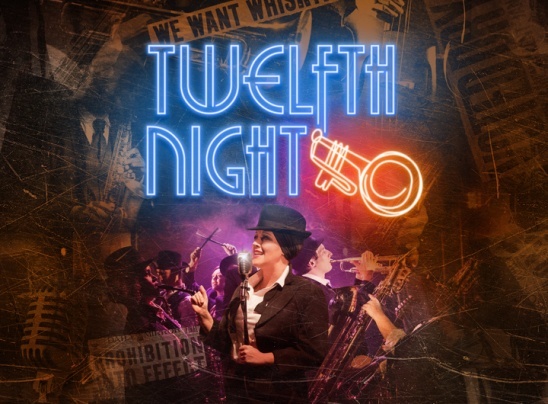 All of the music in Twelfth Night is inspired by postmodern jukebox – modern songs played with a 20's twist. It helps to reveal a fervour and energy to the period in which we've set the play but adds to the clarity of storytelling for audiences not familiar to the play. For those who do know the play – they won't have seen a version like this before. The first half ends with Malvolio breaking into Lorde's 'Royals' revealing his ultimate fantasy and I love it! We've worked with about twenty brilliant actors over the last three years and they (along with the creative team) have become key collaborators. I've worked closely with Tom Jackson Greaves, who's pushed the use of physical theatre in the shows, and Katie, our designer, is doing incredible work, finding a bold visual language that reveals the plays in a new light. We have a 50/50 gender split and love experimenting with women playing parts traditionally played by men – this takes on a whole new level when you're doing a play which to some extent is about gender and it makes so much sense in this version with Toby Belch and Antonio (now Antonia) also played by women. Shakespeare's plays tackle gender head on and are just one of the reasons why he feels so contemporary. How much do we cut/mess around with the text? We use Shakespeare's original text; sometimes we make cuts and play with the structure. I'm a fervent believer in the rigour of speaking Shakespeare's text really well and to get into the company you have to have a natural ability with verse speaking. This frees us up to play with ideas early in rehearsals. I also believe in physicalising the text as early as possible to get it into the body. Shakespeare relies on a complete commitment of mind, body and emotion to have any hope of pulling it off. What will Wilton's bring to the party? It's the perfect space for the play with incredible acoustics. We did Frankenstein there in 2017 which was great; in some ways it's quite similar to the Watermill – intimate but epic. It's the perfect space to imagine being in a 20's speakeasy. Having toured the show all over the country and abroad – this is the perfect setting for it to land in London and we can't wait to share it with audiences. We always say that in the back of our minds we're thinking about the production we'd all have wanted to see when we were at school and engaging young audiences and encouraging accessibility to the plays is incredibly important to me. Having said that, we're faithful to the text and the story. I like to think that the ever radical Shakespeare would have loved the shows and I think there's something there for everyone. That's the genius of the guy – the plays can be appreciated on so many levels and Twelfth Night is as close to a perfect night at the theatre you'll ever get. What is Paul Bunyan about? Paul Bunyan is about the folklore legend and giant lumberjack, Paul Bunyan. Paul Bunyan's mission is leading a team of pioneers (alongside his pet, Babe the blue ox) to cut down the virgin forests of America, making way for civilisation. It is about man's conquest of nature. Paul Bunyan essentially represents America as the new and emerging empire of the early 1900s, the nation that was built on dreams and in particular the 'American Dream'. Why should people come and see it? Paul Bunyan can only be described as a treasure chest of wonders. This is Britten's Broadway piece and has a vast array of music genres: from musical numbers, to folk, to blues, to opera, to hymns, etc. It is hugely entertaining and full of wit through Auden's rich poetry. Alongside the eclectic mix of music, there are approximately thirty-five named characters that explode out of the piece, all with different dreams, narratives and tangents. It makes for a perfect night of entertainment, especially in Wilton's Music Hall where everything is performed in such close proximity to the audience. 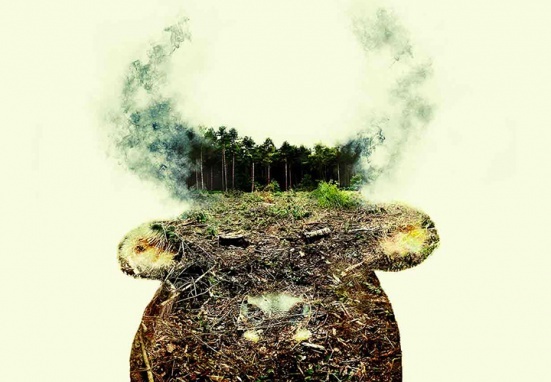 What do you think staging Paul Bunyan at Wilton’s brings to the production? Staging this large-scale opera in a beautiful, but small-scale theatre, means that this production is going to make the audience feel fully immersed in the music and the story. Powered by a twenty-three manned orchestra and a forty manned chorus, the waves of sound are going to be immense and thrilling with regards to intensity. The opera won't have been heard like this before. It will be like opera's version of a rock concert or the Imax. Not only will the sound be so powerful, but Wilton's allows for us to break the fourth wall and play action from all over the theatre. We are creating a surround sound production that is hopefully full of surprises. How would you describe your approach and process as a director? This is always a very difficult question to answer, because it shifts per piece and could be an essay of an answer. In brief I, as a director, am particularly interested in the 'world' of a piece and how/why all of the characters belong to this world/narrative. My process involves a lot of initial research about the piece and around the piece, often deconstructing it to discover if there are any exciting possibilities. I then work very closely with my designer (Camilla Clarke) in discovering the world in which we want to play the story, making sure to marry in what we want to say with the piece. The next stage is working with my movement director (Jasmine Ricketts), to build the physical language of what we want to create. Finally, when we begin rehearsals, I work thoroughly with the cast on character biogs/histories as it all has to be rooted in truth. We then play a lot, especially on an opera such as this, to work out the tangible arcs and objectives. I'm very particular about stage pictures and so this is a key part of my rehearsal process too. Paul Bunyan was written in 1941; how to do you think this piece is relevant to the world in which we live in today? What I find so exciting about this opera, is that despite being written and performed in 1941, it is so relevant and holds great resonance to the world that we live in today. As I mentioned above, this piece is about man's conquest of nature. In the early 1900s, conquest and growth was exciting! We'd experienced the Industrial Revolution and the world was always changing and evolving. Everyone was full of the 'American Dream'. But what does man's continued conquest of nature mean to us today? We are beginning to see the dangers of continued conquest and growth. Deforestation. Over Farming. Climate Change. Waste. Capitalism. Consumerism. Materialism. Progression. These problems are not only American, but Universal. Britten and Auden at the end of the piece have the chorus repeatedly sing "Save animals and men". This is a very powerful message to us today. It calls for radical change in man's relation to the land and the animals and plants which grow upon it. The opera is concerned with collective action and it culminates in a ritual feast, but the emphasis shifts to the "life of choice" and the importance of individual action. It's a wake up moment for the audience. What inspires you as a director? There are many things that inspire me, but I would first and foremost say that it's 'people' that inspire me. My reasoning for joining theatre as a child was because I loved collaborating with people and belonging to a company. This is still my main inspiration today. There is no adrenalin like collaboration. Everyone has different stories, different backgrounds and it is so exciting to work in rehearsal rooms that are so full of different perspectives and ideas. This can also be the intimidating part too! Do you have a favourite moment from Paul Bunyan? My favourite moment has been shifting day by day, because there are so many wonderful moments. Right now and at this very second, I would say that it has to be The Quartet of the Defeated (The Blues). At the top of Act 1 we go through a series of numbers where we witness all of the new recruits, all full of dreams, joining Paul Bunyan's camp. At the end of this series, Paul Bunyan leaves them all with a "dream of warning" and this is The Quartet of the Defeated. This is his way of instilling fear in the men of holding to large a dreams. The music is sensual, possessing a dark chill that weaves it’s way through the space. It is like a ghostly spirit working its way through what was a warm and joyful pub, only moments ago. "America can break your heart. You don't know all sir, you don’t know all".